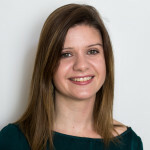 Helen Greatrex is an Associate Research Scientist within the IRI’s Financial Instrument Sector Team. Helen has a PhD in satellite rainfall and crop modelling in Ethiopia from the University of Reading, plus previous degrees in Atmosphere, Ocean and Climate (U. Reading) and Physics with Astrophysics (U. Manchester). Before moving to the IRI, Helen worked as a consultant for Stats4SD and for the Global Climate Adaptation Partnership. This project aims to use existing social science and business tools to explore the social equity implications of insurance, the language used by different stakeholders, business models and road maps. We are also working with Pula Advisors to explore the landscape of replanting insurance purchases in Malawi. Helen runs the CASCAID theme on insurance development, which aims to support the scaling of existing insurance programmes in Ghana and Senegal through research on basis risk, satellite rainfall fitness for purpose and links to value chains. She also worked with the University of Reading to develop a qualitative toolkit to assess the need, access and unintended consequences of insurance on women and other disadvantaged groups. Floods are one of the most deadly natural disasters, killing millions and displacing many more. But not all floods are the same. Flood research, forecasting and response often concentrates on large-scale river floods at the expense of faster and often deadlier flash flood events. This project aims to change things through understanding flood types, improving historical datasets, exploring early action protocols, impact based validation of flash flood forecasts and creating a flood data commons. It is the sister project of similar work focusing specifically on the Rohingya refugee camps in Bangladesh.